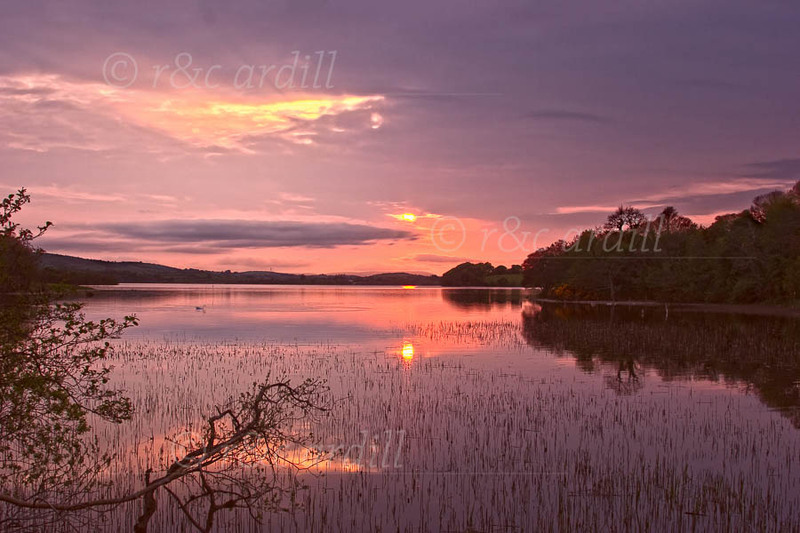 Photo of: West of Ireland: Sligo: Lough Arrow. Lough Arrow (or Loch Arbhach) at sunset. The view is from the Annagloy peninsula. Inishbeg and Inishmore islands are in the distance, to the left and right respectively. A perfectly still and partly cloudy evening give a timeless and peaceful setting.